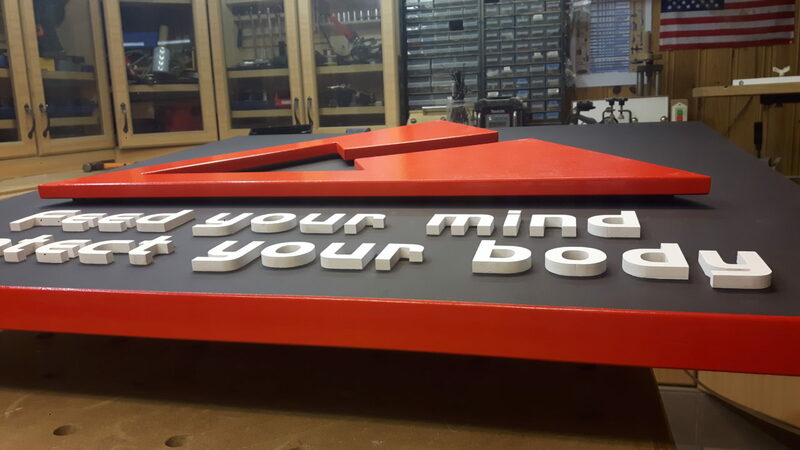 Making a BIG sign for a Karate Dojo. 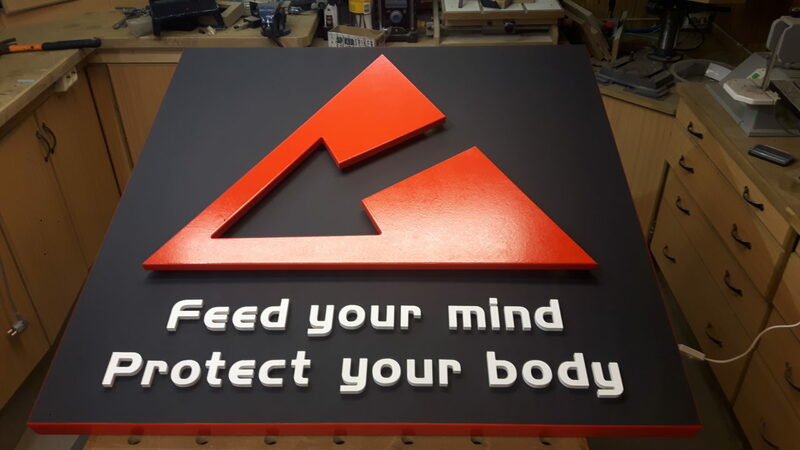 I was asked by a client if I could make a big sign with a custom logo for his karate dojo. He sent me this screenshot of the logo, along with a few dimensions, and the coloring he wanted. He also wanted raised letters. 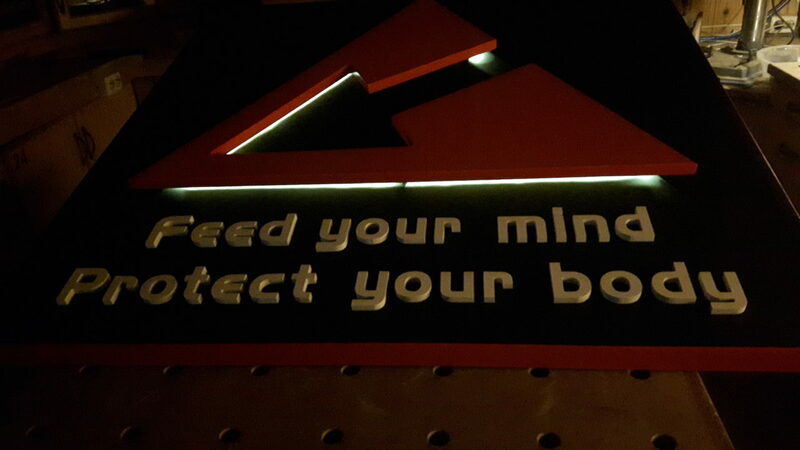 So I got started with the base, or the main back of the sign. 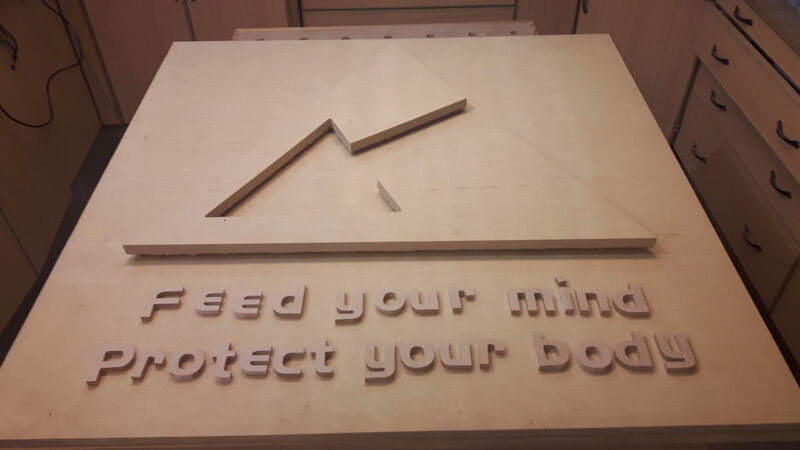 It measured 1000mm x 1000mm, (aprox 40″ by 40″) and since mdf is pretty stable, and also machines and paint well, I cut a 18mm thick base plate. 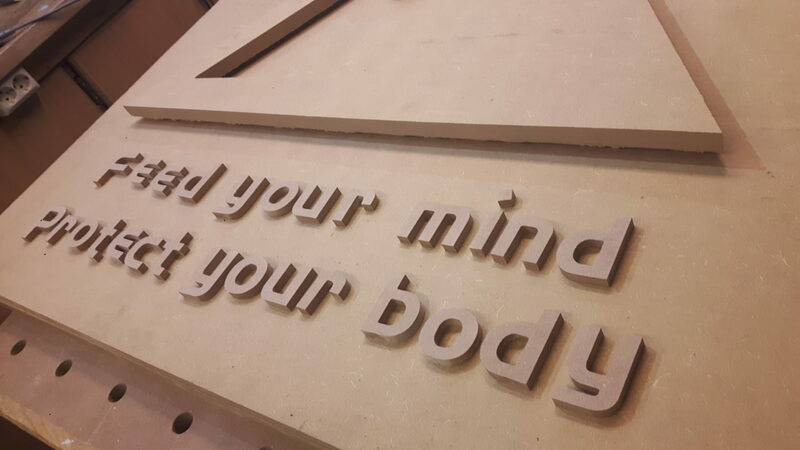 The lettering is cut from 9mm mdf on the cnc and the triangle with the arrow from another 18mm sheet. 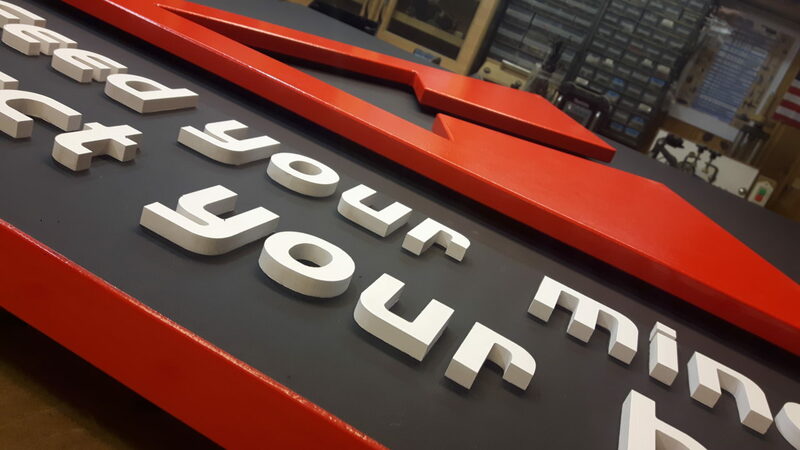 To get a even little more depth into the sign, I raised the triangle up on some risers cut from 16mm pvc tubing aprox 12mm tall. I cut some 50mm strips and added to the back of the base plate to make it look thicker. The sides of the mdf was filled with bondo, and painted high gloss red. Same color was used to finish the triangle with the arrow in the center. 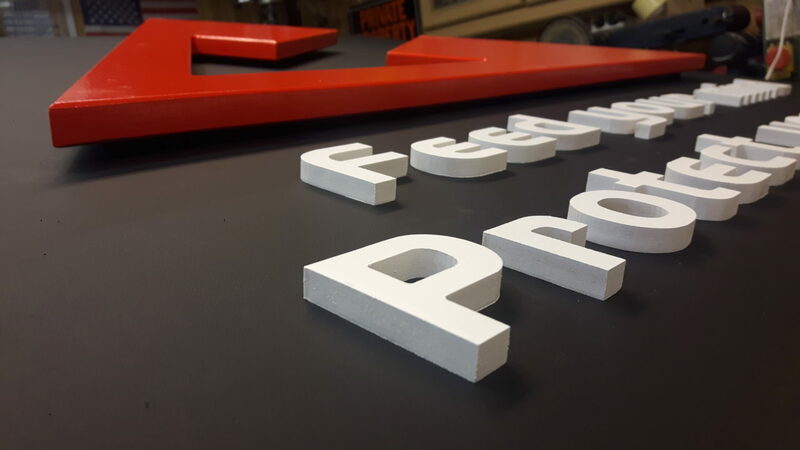 The face of the sign was painted sating black and the lettering semigloss pure white. 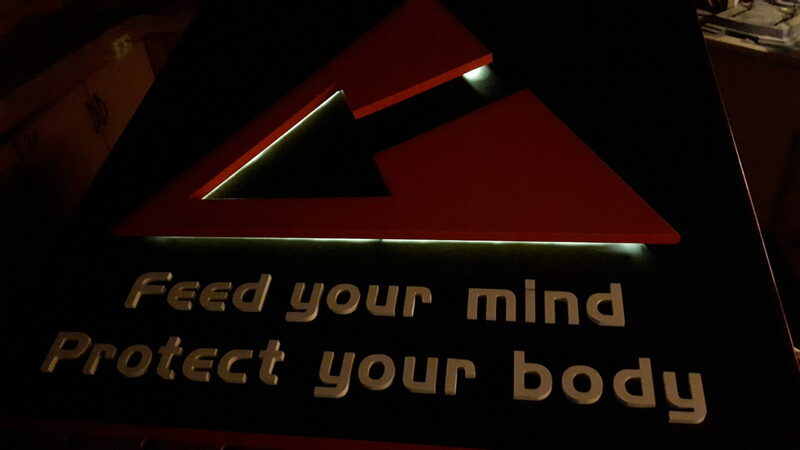 To add a little extra bling, I put a strip of LED recessed in the back of the triangle in the center. and the customer loved it.